Click below to order a signed copy! Grammy, CMA and ACM nominee Bobby Tomberlin began his career in the music business at the early age of eleven as a disc jockey in his hometown of Luverne, Alabama. During this time, he interviewed legends such as Johnny Cash, Waylon Jennings and Keith Whitley. 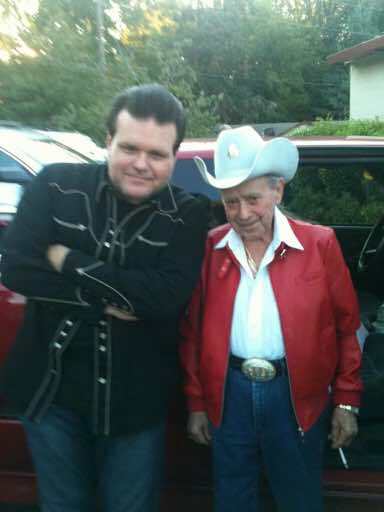 Mel Tillis gave Bobby his first publishing contract, and he is currently a staff songwriter for CURB Music Publishing in Nashville, TN. Bobby co-wrote the number one Country and Top 5 AC single, "One More Day", recorded by Diamond Rio and co-authored the inspirational book by the same title. He co-wrote the Top 10 hit single, "A Good Day To Run" with Darryl Worley and the hit, "Country" with Mo Pitney and Bill Anderson. 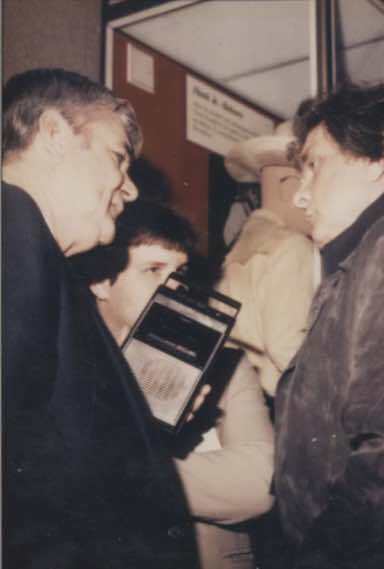 Bobby has also had songs recorded by Barbra Streisand, Blake Shelton, Willie Nelson, Faith Hill, Kenny Rogers, Josh Turner, Jerry Lee Lewis, Joe Nichols, Pam Tillis, Thompson Square, Rodney Atkins, Joe Diffie, Sylvia, David Nail, Chris Young, Terri Clark, Little Jimmy Dickens, Chely Wright, the Oak Ridge Boys, Lee Greenwood, Ty Herndon, Linda Davis, Dylan Scott, T.G. Sheppard, Jett Williams, actor Chris Pine, Eddy Arnold, Russ Taff, Runaway June, and many others. Bobby's songs have been used in numerous films. Bobby was a cast member of the CMT hit series, The Singing Bee, for five seasons and appeared in the film, Brake, starring Stephen Dorff. Bobby is a costar in the upcoming film, Wheeler, with Stephen Dorff and Kris Kristofferson. Bobby has appeared on the stage of the Grand Ole Opry with Larry Gatlin and has shared the stage with icons Vince Gill, Mac Davis and Bill Anderson. Bobby has done voice over work for projects by Michael McDonald, Trace Adkins, Peter Frampton and the B 52's. Bobby is featured on Rock and Roll Hall of Fame member, Bill Medley's recent DVD, where he interviews Bill at the Capitol Studios Hollywood. Bobby's new CD, Out Of Road, features songs that he wrote with Mac Davis, Bill Anderson, Mo Pitney, Bobby Bare and Dean Dillon. Guest vocalists on the project include Bobby Bare, Vince Gill, Sylvia, Bill Anderson, Linda Davis, Mo Pitney and Hilary Williams. The film, Wheeler, was released to theaters and On Demand February 3rd. Tomberlin co-stars with Stephen Dorff and Kris Kristofferson in the film. Tomberlin also co-wrote three songs for the soundtrack and also co-produced the soundtrack album. Tomberlin joined Dorff on several media tours in New York, L.A. and Nashville. There were premieres held in Nashville and L. A. along with a special screening for press in New York. Dorff and Tomberlin performed songs from the soundtrack at a Grand Ole Opry performance at the Ryman. The film and soundtrack are now available on iTunes. In recent weeks, Bobby's songs have been getting a lot of activity. His song, "Country", that he wrote with Mo Pitney and Bill Anderson, is featured on a new patriotic CD, being sold in Cracker Barrel gift shops. Mo recently recorded "I'm Rich", that was co-written by Bobby, Mo and Wil Nance. Bobby co-wrote three songs for the Wheeler film soundtrack. Runaway June, Dylan Scott, Darryl Worley and Pam Tillis have also recently recorded songs co written by Bobby. Bobby recently finished recording a new project at CURB Studios. Bobby recorded a version of “One More Day”, as well as songs written with Bobby Bare, Dean Dillon, Mo Pitney, Bill Anderson and Mac Davis. Vince Gill, Sylvia, Bobby Bare, Bill Anderson, Linda Davis, Mo Pitney and Hilary Williams provided vocals on the project. Willie Nelson’s harmonica player, Mickey Raphael, played on a couple of the tracks. The title of the project is Out Of Road. The release is slated for October. The legendary Loretta Lynn, recently invited Bobby to sing the Loretta/Conway hit, “Lead Me On”, at a tribute to Conway Twitty concert at her ranch in Hurricane Mills, TN. Bobby says that singing with Loretta is one of the highlights of his career. The Barbra Streisand Partners CD has been certified platinum. 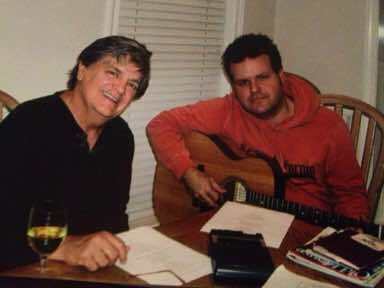 Bobby co-wrote the Blake Shelton/Barbra duet, “I’d Want It To Be You”, with Jay Landers and Steve Dorff. Barbra sang the song with Jimmy Fallon on the Tonight Show. Mo Pitney’s first CD, Behind This Guitar, will be released October 7th. The project will feature “Country”,( Mo’s first single), written by Mo, Bill Anderson and Bobby. Bobby and Mo have been busy writing songs for Mo’s next project. Mo and Bobby recently traveled to Anchorage, Alaska, where they did two shows. Bobby recently hosted the FFA String Band Competition at the FFA State Convention, in Montgomery, Alabama. Bobby was a member of the FFA String Band, while in high school and competed in the same competition. Bobby and longtime friend and former FFA officer, Waller Martin, honored their FFA advisor, Windham Pittman, for his many contributions to the FFA. Bobby recently performed with the legendary Mac Davis at the Tin Pan South Festival in Nashville. Mac is one of Bobby’s songwriting heroes. Some of Mac’s hits include “In The Ghetto” and “Baby, Baby, Don’t Get Hooked On Me”.